Live Market Watch for commodity market (NCDEX, MCX) in one screen. Add any number of scrips in the Market Watch. Greater exposure for trading on the available margin. Tick by tick live updation of Intraday chart. Greater exposure for trading on the margin available . Common window for market watch and order execution. Key board driven short cuts for punching orders quickly. Real time updation of exposure and portfolio. Facility to customize any number of portfolios & watchlists. Market depth, i.e. Best 5 bids and offers, updated live for all scripts. Facility to cancel all pending orders with a single click. 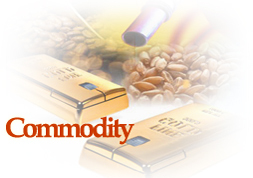 We also do Pro-Account trading in Commodity Segment.